Throughout the 1950s, '60s and 1970s a brand of bold and direct close-up magic was developed in Chicago, Illinois. These effects were known for simplicity, clarity and strength of effect, and the powerful response they elicited. Chicago magical legends Don Alan, "Heba Haba Al" Andrucci, "Senator" Clarke Crandall, Frank Everhart, Jack Murray, Johnny Paul, James Patrick Ryan, and Matt Schulien forged their reputations with these effects, and now you can too! While these quick, direct, simple, baffling effects delighted Chicago audiences for decades, they were far less widely known and practiced outside of Chicago nightlife venues. Many of these terrifically effective pieces have evaporated into the ether, for no other reason than the fact that they are not the "latest." To say that you could make your living performing these eternal impossibilities is beyond dispute. Many of our most talented trailblazers have done precisely that! Davebury Delusion David Lederman's winning routine that takes the sting out of the swindle, and adds a distinctly satisfying payoff! Exploding Aces As terrific as twisting effects get, with a knock 'em dead transformation followed by your choice of two mind-melting, reputation-making blow offs! Stacked Impact Join the ranks of Alan, Crandall, Paul and Ryan with this well-proven Dice Stacking crowd-pleaser with your choice of two powerful punchlines! Standing Ten Count Spectator counts ten cards; they continue to multiply in their hands until the jolting juggernaut finale! Red Hot Mama One of magic's finest openers; Al Leech's signature effect, as beautifully baffling as it is easy to perform. It just might be the best surprise transposition ever. The Big Stop The classic "stop" effect has never had more clarity and sheer audience impact! I Chink So A deceptive "Chink-A-Chink," punctuated with a unique and unforgettable "in-the-spectator's-hands" finish! 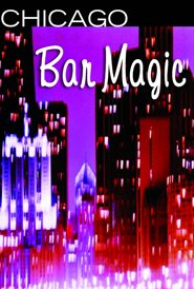 The Chicago Stab Suitable for the bar, table, or cabaret, this is a spectacular Chicago crowd-pleaser, as easy as it is strong! All this, and much more, including a truly invisible handling of the Johnny Paul/Jim Ryan Bill Tear. All are performed before impromptu audiences, and clearly taught so that you can perform these treasures with unprepared objects in no time flat! 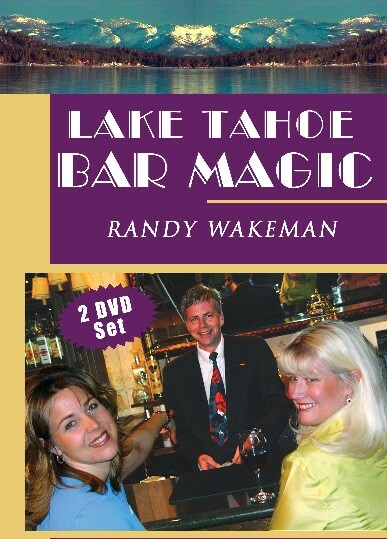 "Lake Tahoe Bar Magic DVD" two volume set! It is my very best, most comprehensive video effort to date. This is the professional quality magic you have been waiting for, and your audiences will thank you for. Did You Get The Odd One? When was the last time that you were able to get your hands on a twin pack of DVD's that contained magic routines that were ALL really worth doing? Take it from those in the know: this is one of the best magical investments you can make! Imagine taking a deck of cards and having UNREAL CONTROL of your spectator's selected card! You will learn step-by-step a collection of moves that will help you take the next step in your card magic. These are moves that seperate the novice card magician from the serious card professional. The DVD features multiple performances and slow, step-by-step instruction for each Pass technique. Website & contents © 2015 Randy Wakeman. All rights reserved.